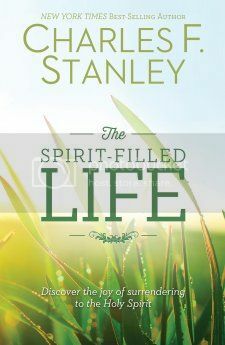 The Spirit-Filled Life by Charles F. Stanley is a book that shows you how to go beyond the motions of being a Christian and invite the Holy Spirit to actually be a part of your life. If you have ever felt like something was missing in your life, and needed help with faith, this is a book that is definitely meant for you to read! The Spirit-Filled Life is a book that really spoke to me. Sometimes when going through life, I haven’t made the time for my faith like I should have been doing. Something did feel missing, but I have been on the path to re-finding it, and am pleasantly surprised by how much this book could have helped years ago for me! It is an excellent resource that helps anyone to discover the joy of welcoming the Holy Spirit into your life. It doesn’t cost anything extra to do and can bring in a happiness that can’t truly be filled in your spirit in any other way. I love the message of this book and the stories included in it. I highly recommend it! * Thank you to the publisher of The Spirit-Filled Life, Thomas Nelson, for providing me with a copy of this book for review. All opinions expressed are my own.